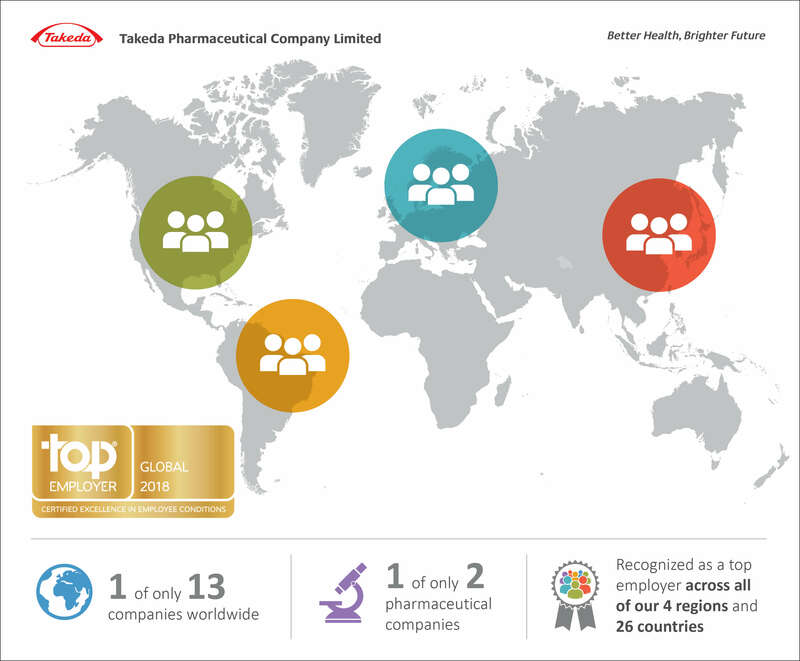 We are proud to say that Takeda has been certified as a Top Global Employer by the Top Employers Institute — one of only 13 companies, and one of just two pharmaceutical companies. The certification recognizes our excellence in areas such as Culture, Career Management, and Learning & Development. This highly coveted seal of approval acknowledges that we empower our people to shine and that by working with us, you will enhance people’s lives every day — including your own.